The U.S. textbook market will soon approach an estimated $6 billion, yet “dead tree” publications struggle to keep pace with the rapid change of technology surrounding students and educators. As schools digitize, what form will learning materials take to teach the next generation of student? James Bower, CEO and Chairman of the Board at Numedeon Inc., believes that digital gaming holds the key to the future of education. 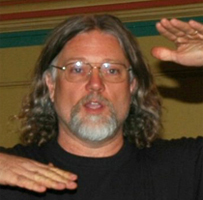 As an established neuroscientist and Professor of Computational Biology at the University of Texas Health Science Center San Antonio and University of Texas at San Antonio, Bower links virtual worlds like the Numedeon-developed Whyville to the proven brain stimulation of “good old fashioned primate learning.” In his TEDx talk, Bower will explain how incorporating social rewards, playfulness, collaboration, competition, challenge, and fun, new approaches could encourage students to grow and learn in new ways. Bower is also known through his alter-ego as the lead singer of Ramon and the K-halls.